You make lemonade! Ready to get started? You’ll need lemons. and Kids. and this great recipe. 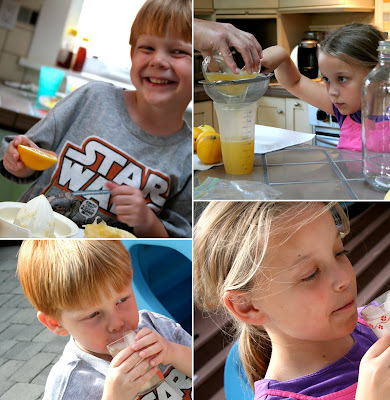 Did we mention we have a great Lemonade themed printable party set? Pour 2 cups of water and all the sugar into a saucepan cook over medium heat. Stirring occasionally, heat until sugar is completely dissolved and liquid is slightly thicker. Wash, cut, and squeeze your lemons. Use a strainer to eliminate the pulp and seeds. 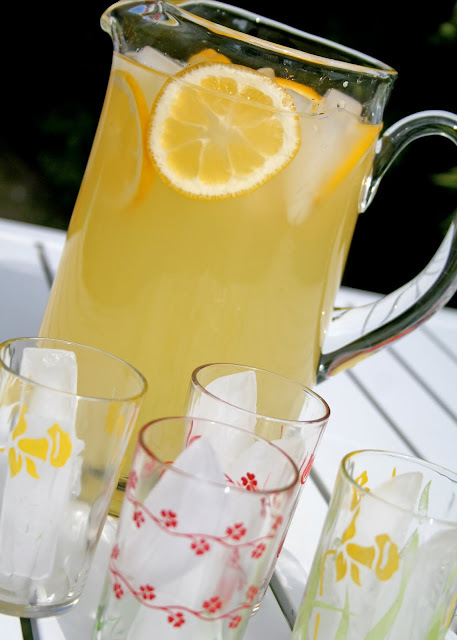 Pour lemon juice, 4 cups of water and water/sugar syrup into large pitcher, add ice. I just had fresh squeezed lemonade today! So good!!! Wow, and yummy. I bet your lemons are fresh off of a tree, right? Yummy. Love what you have going here. I check in frequently!